Secure shell (SSH) access is not enabled by default on shared accounts. On dedicated and virtual Linux servers, you will automatically receive root SSH access. On shared hosting, your account either must 1) order hosting with SSH enabled, 2) request it in the order notes or, 3) open a support ticket asking for it to be enabled. Please keep in mind that SSH access may have additional charges and/or identity verification requirements. To use SSH, you must have an SSH client installed. 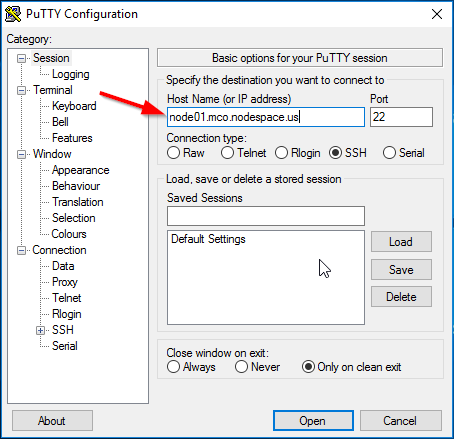 If you're on Windows, we recommend using Putty available for free here. 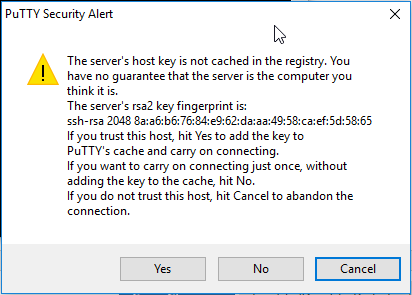 Once Putty is downloaded, launch it. Enter your server name or your domain name and click on OK.
You will be asked to verify the server's key. Click on Yes to continue. Now you can enter your username and password. 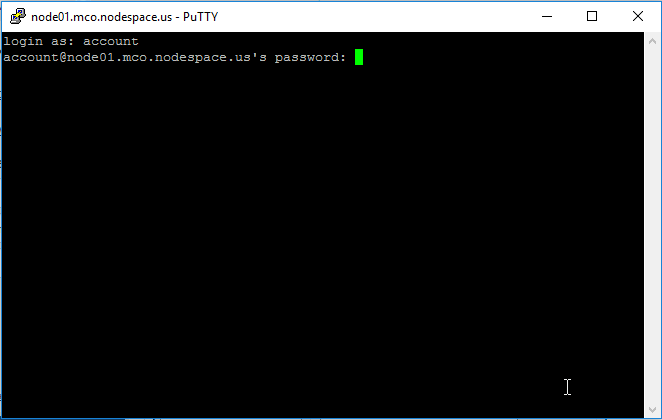 ssh USERNAME@node01.mco.nodespace.us (using your uername and server or domain name.